Having a reliable, trustworthy, and affordable locksmith on-call can save you a lot of trouble when something happens to your locks or you lose your keys. That way, you won’t have to Google ‘find me a locksmith ’ when you need help on an urgent basis. Oak Park Lock And Keyis a professional locksmith that has been offering emergency locksmithing help to the Oak Park, IL region for a decade. We are a one-stop solution for all your lock-related problems or emergency requests. Our locksmiths are well trained, our inventory well stocked, and our services affordably priced. Where and when can you hire our services? 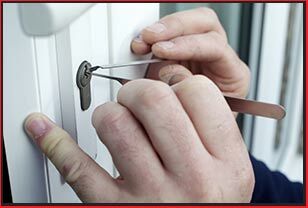 We provide a 24-hour emergency locksmith service. You can recruit our experts round-the clock, all week, and all year – including on major holidays. We don’t charge extra for late night work, unlike some firms, nor if you need us urgently. We carry our inventory with us, which allows us to provide you with a fast service. Our mobile vans can reach all areas in and beyond Oak Park. No longer will you have to query Siri or Cortana to “find me a locksmith nearby”! Key cutting: We can cut all popular key types, including for cylinder locks, old/antique locks, cars, rim locks, mortise locks, and many more. Every key we cut is hand-finished to ensure it doesn’t damage your lock. We also take great care to ensure it lasts you a good long time. Lockout assistance: Have you been locked out of your property? Don’t worry – our locksmiths can help. We’ll open your doors and let you back in quickly. We don’t damage locks/doors while handling a lockout –we have advanced tools that allow us to provide zero damage solutions. Broken key extraction: Did a key break in the lock? Instead of attempting to extract the broken piece or pieces DIY-style, we recommend you leave it to the professionals unless you want to permanently damage the lock. 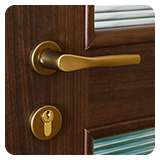 New locks installed: We can install high-security locks as well as regular locks at affordable prices. We have both electronic and mechanical locks on offer. Find yourself a locksmith on 708-303-9312 !